I woke up this morning, and I was raring to go. The alarm went off at 7:00 AM. By 7:30, I was sitting at the sewing machine, pedal to the floor. I used my walking foot, marching the edge of the foot along the seams. The thread is a lovely 100% cotton, variegated thread that runs from dark red to pastel pink. 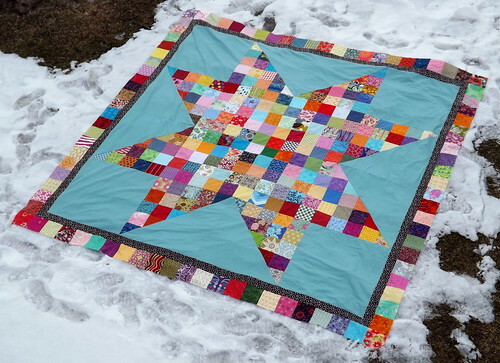 I thought it was a good addition to this quilt. 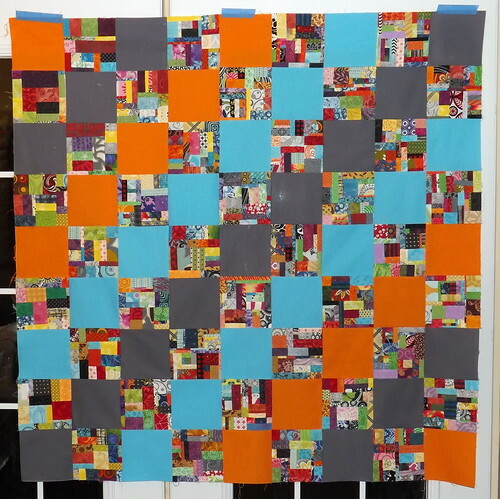 I really like the contrast of the straight line quilting against the soft edges of the large scale print. 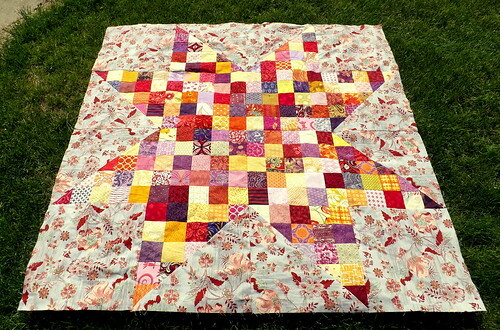 I really love the way the quilting looks on the backside of the quilt. I do find myself wishing I’d had more of the cream and pink print to use for the backing, as the quilting is so striking against it. 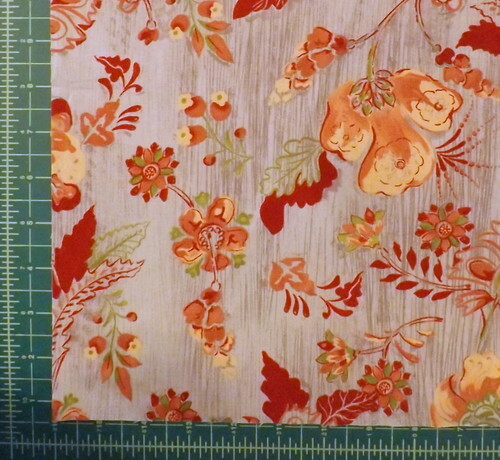 Ah, well, I used up three pieces of yardage that I had absolutely no plan for. I’ll take that as a win. 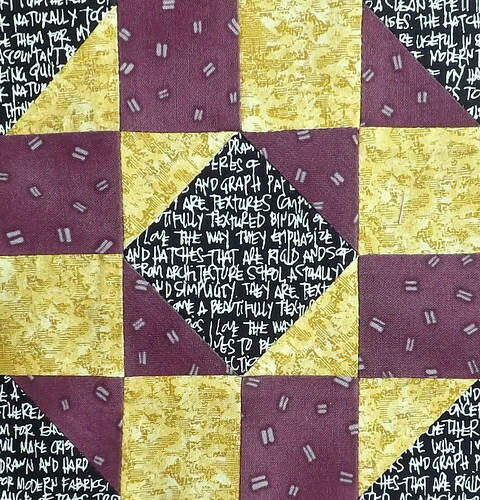 I think the middle print of the five is my winner for the binding. If I’m lucky, making the binding will use up all I have of that print. Then, I’ll have used up four prints, and a bunch of scraps. 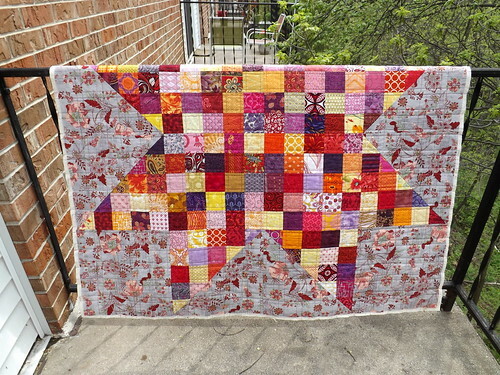 So far, I’ve used four and a half yards, not including the scraps. But, for now, I’m off to go see Godzilla. When I get back tonight, I’ll have make up the binding, and then I can finish this quilt up while going to and from work the next couple of days. 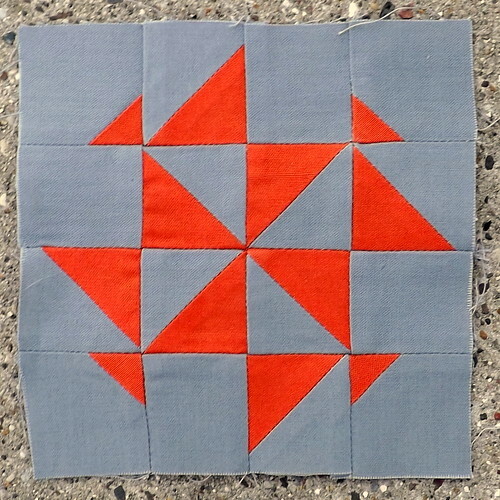 In a bout of ‘darn it, I want to do this!’, I finally broke down and bought twenty yards of gray solid fabric from Connecting Threads. Yes, you read that right. TWENTY YARDS. It arrived on Thursday, and I managed to ignore it for most of the evening after work. I couldn’t take it, though, and at about 11:00 PM, I decided that I would sew instead of sleep. Three hours later, I had two complete Dear Jane blocks. They’re not perfect, but pretty good for 5″ finished blocks. Regardless, I’m thrilled with the way the orange and purple glow off the grey. So, I decided to just make 6″ blocks until I’m happy with the number, and then figure out a setting when I get there. 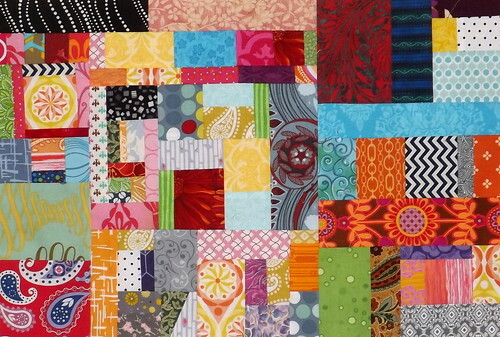 I have enough quilt block reference books that choosing blocks shouldn’t be a problem. 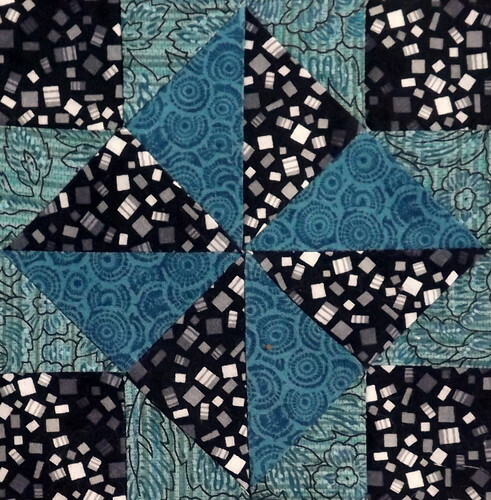 I started with Jinny Beyer’s The Quilter’s Album of Patchwork Patterns and made the following three blocks through Saturday. I’m just picking fabrics from my stash. 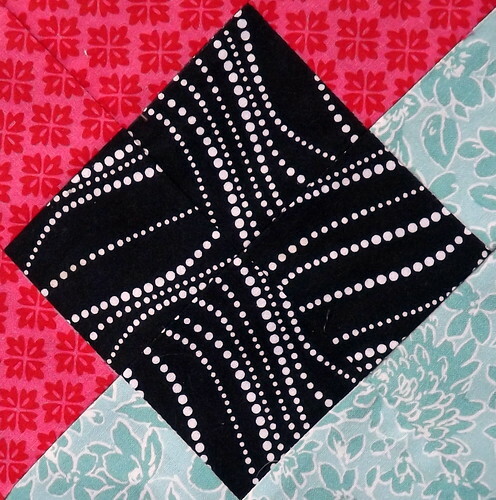 The only consistency that I want is that each block have a grey or black neutral fabric in it. 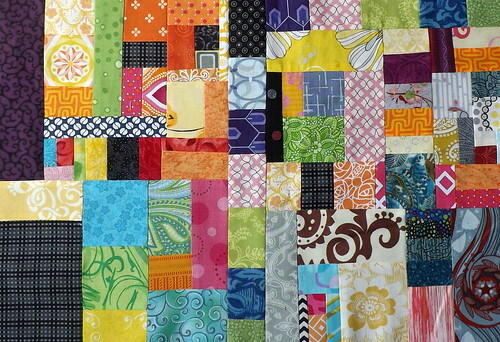 I also completed another 12″ X 18″ scrappy panel, for a future place mat. These go quickly when they’re my leader/ender sewing. My big project for Saturday was the reorganization of my sewing area. I’d added a wireless printer to my setup with the new year, and due to the way my cutting/iron/stuff table was situated, I lost half the table to wasted space. The ‘stuff’ was also taking over. 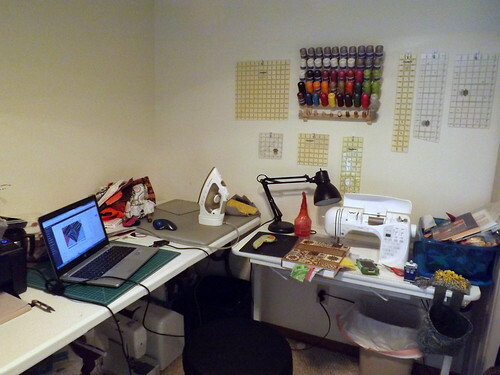 When all was said and done, my sewing space feels a lot more open, and is a lot more useful. I can just swivel on my stool to access cutting station, ironing station and sewing machine. My printer is in arm’s reach, but isn’t wasting space. I added a thread rack to the wall, on which I’m only storing my Connecting Threads spools. 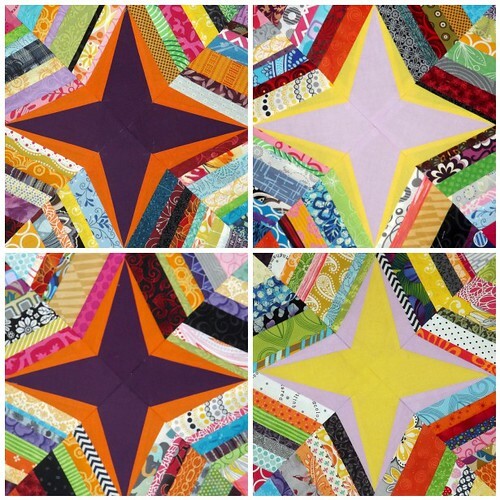 I don’t use anything else for piecing, and it’s rare that I use something else for quilting. The bottom row of the spool rack is reserved for bobbins at the moment, though I might add a smaller rack for that purpose. Regardless, I’m very pleased with my progress for the weekend. I plan to do more sewing today, though. It feels good to just being sewing. I finished the last three blocks for Frankenstein on Wednesday evening. My intention was to actually get the top put together Thursday morning… I didn’t bother getting out of bed early enough, because it was so comfy! Thursday evening, I hit the sewing machine running! After a couple hours, I had a completed top, and had even done up the backing! Pardon the slightly terrible, late night photo. I plan on taking a better picture once I have Frankenstein quilted up. I’m super happy with this project at the moment. Everything is from scraps or stash, right down to the batting. I’m using batting leftover from other projects rather than buy new batting for this. 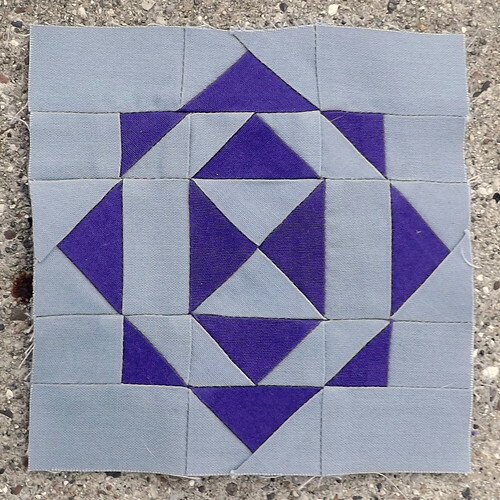 There are 1.5″ yards of solids in the top. 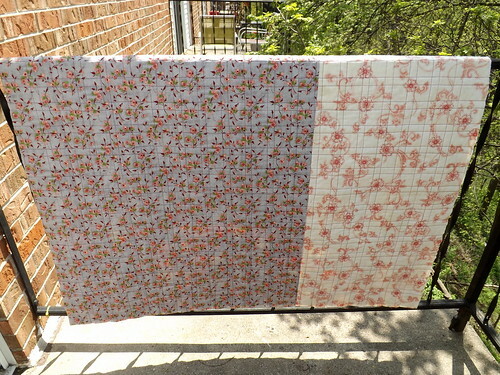 About 2.5 yards of fabric went into the backing, which even uses some fabrics I wasn’t sure how I’d use (that’s what I get for impulse buying rocket fabric). The only piece still waiting is a decision on what to use for the binding – I’m thinking that it will be a scrappy binding, to fit with the origins of this project.